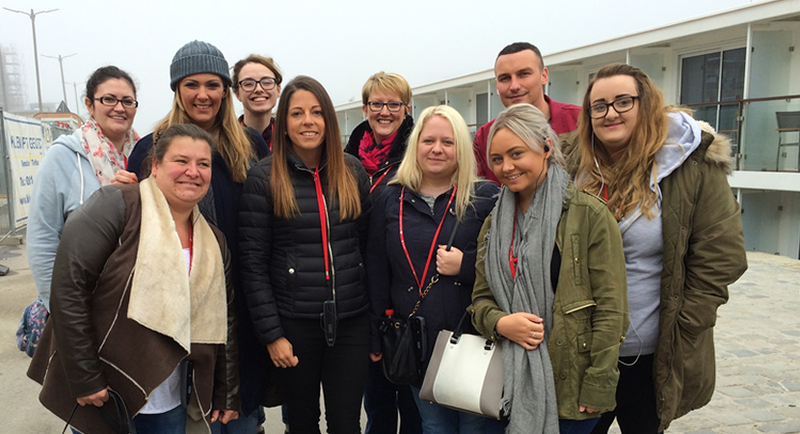 Our river cruise expert, Hollie, has just returned from a short trip with Viking River Cruises. Joining the Viking Jarl in Nuremberg for 3 nights (not a full cruise), Hollie visited Nuremberg, Regensburg and Passau. 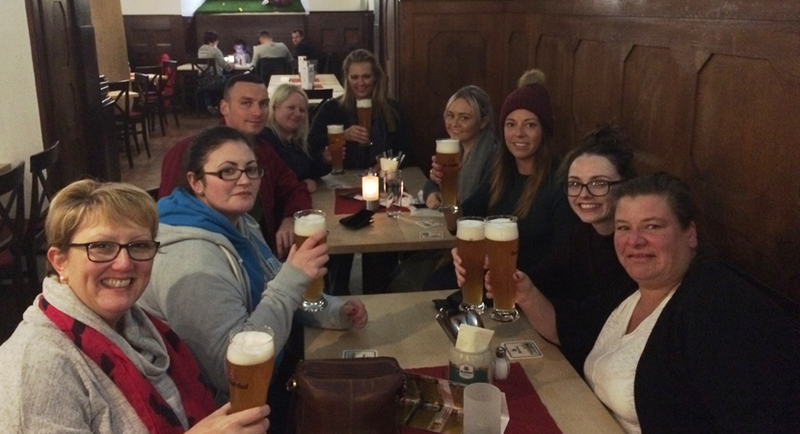 Read all about her trip below & if you've any questions please don't hesitate to contact Hollie at RiverCruising.co.uk, 0800 810 8220. We arrived in Munich mid-afternoon by flight, made our way to the arrivals hall where we were to meet a Viking representative. Shortly after meeting the representative we boarded a coach for our transfer to the Viking Jarl. Arriving at the boat we were greeted by the very friendly staff, checked in and made our way to our staterooms. I was very pleased with my stateroom, it was luxurious and spacious! After a little time to relax and unpack it was time to get ready for dinner. At 6.00pm we were invited to the lounge to meet fellow passengers and to be Welcomed on board by the Cruise Director and the Captain. They told us what would be happening on and off the boat and where to find everything. We were then invited down for dinner in the restaurant. Dinner is relaxed; there is no seating plan - you sit where you want, with whoever you'd like. A great way to meet fellow travellers. The restaurant staff were amazing; they couldn't do enough to help guests. On the first night i ordered cheese mushrooms for my starter and a steak for main - it was out of this world. After dinner we headed to bed - it had been a long day and we had a full day ahead! I woke up this morning, looked outside to see I'd woken up in a different city than we started - okay, so I was expecting this, but I was surprised to find that I didn’t hear or feel a thing - it was such a smooth sailing. I met my fellow travellers for breakfast; Pancakes with red berries & a coffee to be specific. Yet again, the food was delicious. After breakfast, we went to our cabins, collected our audio headset (a neccessity for the guided tours & excursions), collected our boarding cards from reception (you don't want to forget those) and headed for the coach. Today's complimentary tour was a coach & walking tour around Nuremberg. We visited the imperial palace grounds & the Albrecht Dürer House. The guide was fantastic, he was a local & full of knowledge of the area. My highlight? The views from the palace were breathtaking. After a palace tour we went to the Main Market Square of Old Town, which was brilliant, full of authentic German market stalls selling specialised beers, ginger bread and souvenirs. After a little free time, the coach picked us up mid afternoon and we headed back to the Viking Jarl. Once back on board it was time for a safety briefing, it only takes 5 minutes, but it is compulsary. You collect your life jacket when the alarm sounds and head to the main lounge for a short brief. Following this it was time for lunch - there was a nice choice - I opted for carrot soup with a roll. Again, no complaints! Between lunch and dinner we had some free time onboard, a perfect opportunity to relax in the bar with a glass of wine. Or, if you're feeling more active you could head up to the top deck and play miniature golf. As with every night, we met in the lounge pre-dinner, heard from the Cruise Director & made our way down to the restaurant. For dinner, I had spring rolls for starter and chicken in a wine sauce for my main it was beautiful. After dinner, we went to the lounge for a quiz…. we didn’t win but it was good fun. After the quiz, we enjoyed a drink & mingled with other guests on board. Guests on board were all very friendly, you could see over the course of the cruise different passengers getting to know eachother. This morning we woke up in Regensburg, I opened the curtains to take a look & in surprise, i was met by a very happy man.... our ship had docked alongside another & my stateroom was therefore next to another guest's stateroom, from the other ship. We had both opened our curtains to find an alternative view - it was very funny. We met for breakfast - I had poached eggs and toast with a fresh orange juice. We then collected our audio headset’s and met our local guide in reception at 8am. 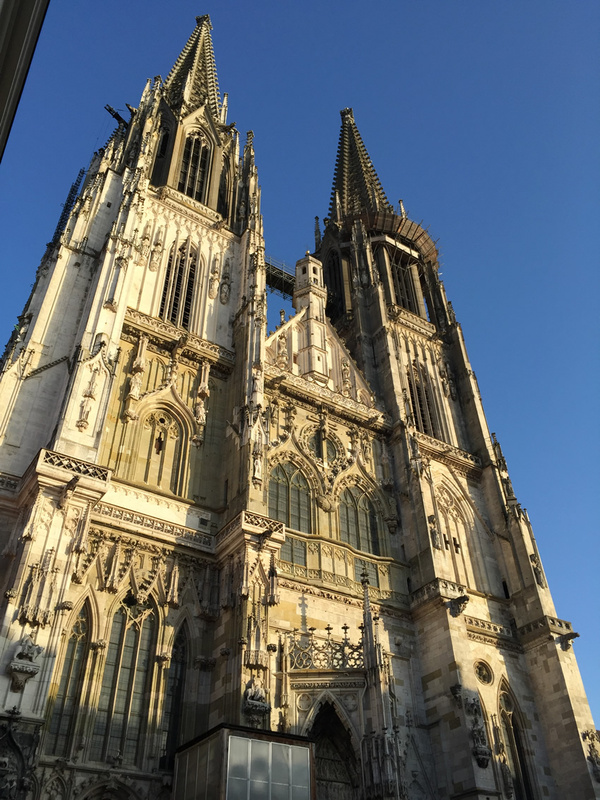 Today was a walking tour through the scenic town of Regensburg, considered one of Europe’s best-preserved medieval cities. We saw one of the largest groupings of 13th- and 14th-century church spires, towers and patrician houses north of the Alps. We also encountered the 12th-century Old Stone Bridge, St. Peter’s Cathedral and several idyllic courtyards before heading back to the ship for lunch. 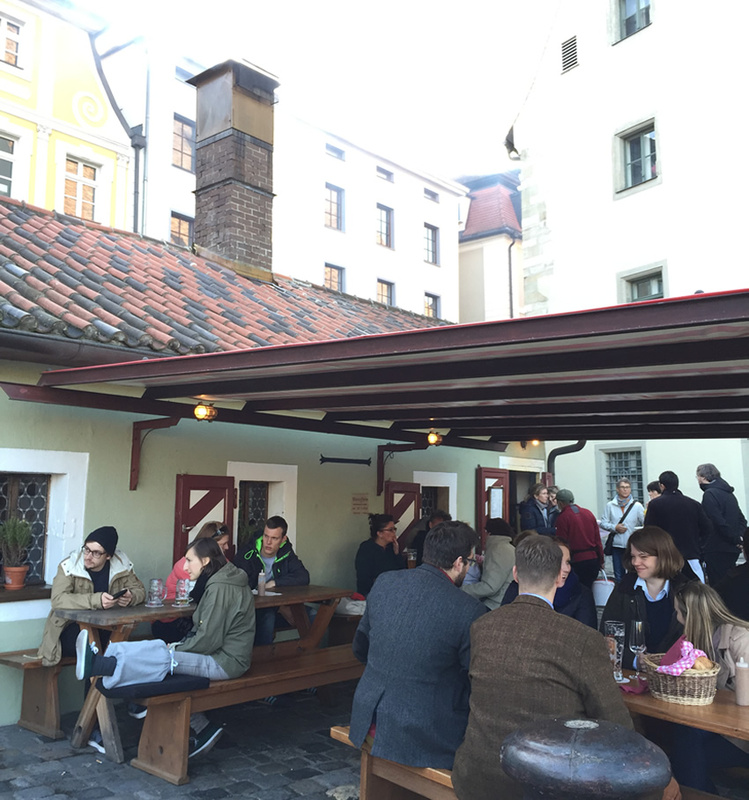 After lunch we went on our own little walk around Regensburg to sample the local beer and visit a sausage house (as recommended by our colleagues). Back onboard we relaxied on the top deck for a while. Tonight was Bavarian night! All the staff dressed up in authentic Bavarian clothing, we are from a Bavarian menu, drank local beers and a listened to a Bavarian band. It was a brilliant night - The food was brilliant, something completely different! The band was great entertainment, everyone was up dancing and joining in. Waking in Passau this morning the views were amazing!! For breakfast today I had Philadelphia on a bagel and a coffee. Unfortunately we were unable to join the tour today as our transfer was collecting us at 11:30am. We did however go for a short walk through town. There were lots of shops to visit & it was a lovely little cobbled town with plenty to offer! Back onboard it was time to gather our luggage, meet in reception & say goodbye to the Viking Jarl. 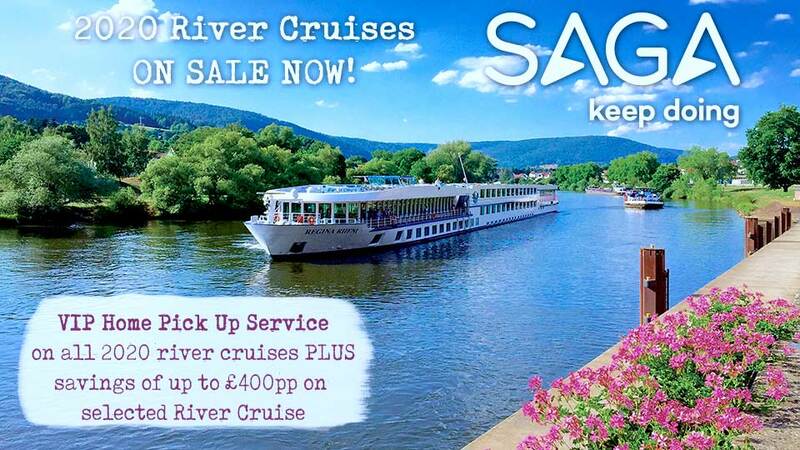 Although short, It was a brilliant river cruise - I loved it & will most definitely go again! 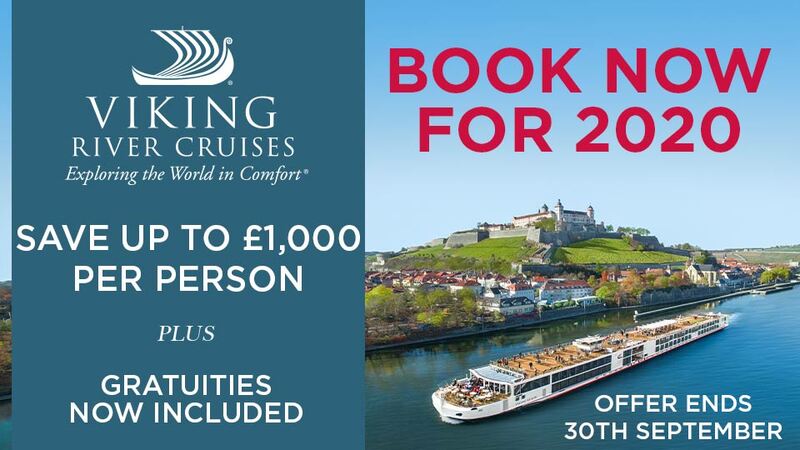 For more information on Viking River Cruises or for our latest offers click here.